Watching President Obama deliver his State of the Union speech Tuesday night, I thought of another young, charismatic president, John F. Kennedy, and his inaugural address 51 years ago. 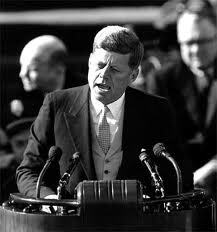 I agree with Kennedy that you shouldn’t depend on government to do what you can do for yourself. That’s especially resonated with me as I’ve transitioned from a full-time employee with good benefits to a self-employed consultant with no benefits. It’s easy to get into an entitlement frame of mind (“why should I have to pay for my own health insurance?”), but really the only thing the government owes me is an opportunity to get up every morning and work like everyone else. The second part of the quote is meant to be a call to service, and it spawned a generation of volunteers to work in the Kennedy-inspired Peace Corps and VISTA programs. In many ways, Kennedy’s famous request to “give back” foreshadows the “servant leadership” thinking introduced by Robert K. Greenleaf a decade later and popularized by Stephen Covey and others. It’s the time-tested truism that it’s better to give than to get and that by serving you are practicing enlightened leadership. As Cenedella explains, “the interview process lends itself to our becoming self-absorbed and talking only about ourselves. 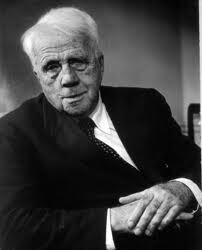 History buffs will remember that the poet Robert Frost, then 87 at the time, recited his poem “The Gift Outright” at Kennedy’s inauguration. The poem describes the history of our land, noting that the American colonists had to give themselves “outright” to become an independent nation. Until the colonists were willing to give themselves completely to their new land and accept the sacrifices that meant (such as war with England), the land would not be America’s to possess. When you recognize that most of what we get in life is the result of sacrifice and giving, you begin to see the wisdom of Kennedy’s words. I’m not trying to be partisan, but I wish there was an equally memorable takeaway from President Obama’s speech. This entry was posted in Careers, Purpose and tagged Ask what you can do, John F. Kennedy, Marc Cenedella, Robert Frost, Robert Greenleaf, Stephen Covey. Bookmark the permalink.